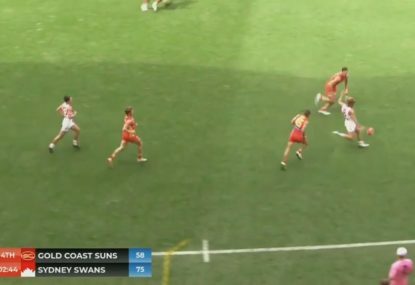 Player exchange in the AFL needs an overhaul. The last time the Collective Bargaining Agreement was thrashed out both sides failed the challenge of change. Let’s start the process early this time around. For the most part, the last CBA negotiations were about divvying up what I think will come to be the final enormous pay increase afforded to the AFL. 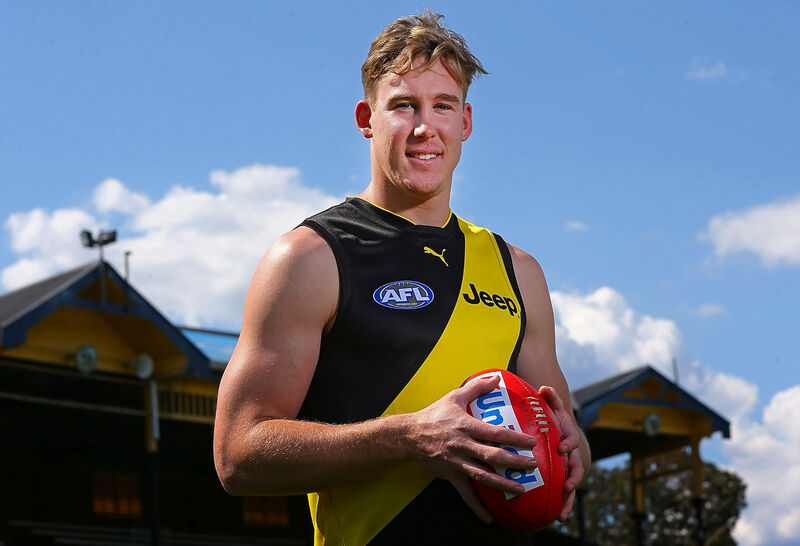 It took more than a year of extra time to thrash out a deal that created a single year salary cap spike – which most players got as a matter of course – and how the AFLPA would spend a bit of play money. Neither the players nor the league made any positive reform to everything that matters in the CBA: listing, trading, and drafting. You know, all of the things which are important at this time of year. They failed the challenge of change, which is unfortunate, because the CBA is not up for proper renegotiation for another four years. So, we need to start the engine now, because lord knows unless the change is something Channel Seven wants then it does not get done. 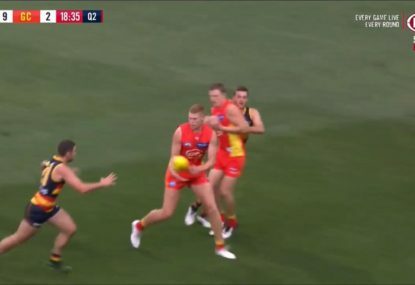 Speaking of which, has anyone else noticed the AFL did not announce any rule changes for the 2019 season ahead of the start of the trade period, as they committed to do upon the formation of the Competition Committee and re-stated to AFL Media in September? Is it because the AFL Commission knocked them back and asked them to do some proper research? We know the Commission has form in this respect, having knocked back the AFL’s original AFL Women’s League expansion plan because the business case wasn’t good enough. One can only hope. 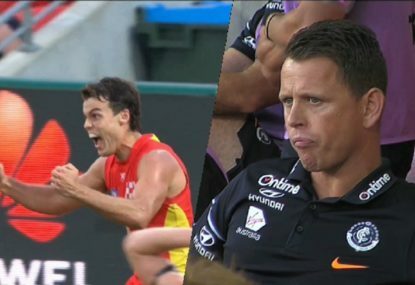 Anyway, here are four practical, modest and feasible changes to player exchange in the AFL which would help to improve the market for everyone. The de-facto no-trade clause baked into every player’s contract via clause 22.2 in the CBA gives the players and their agents too much power. The exact wording of the clause is below. No AFL Club shall exchange any Player unless the Player has been given as much notice as possible by the AFL Club of its intention to trade without any duress being applied by the AFL Club, its employees or agents to the player and the Player genuinely consents to the trade. Those last seven words are the no-trade clause. A player must offer genuine consent, with no duress applied by the club that the player is contracted to. It’s the major reason why players and their agents can nominate the specific club they wish to be traded to. Suffice to say, this clause is beginning to grate on the clubs, particularly in a world where the free agency system is reaching maturity. 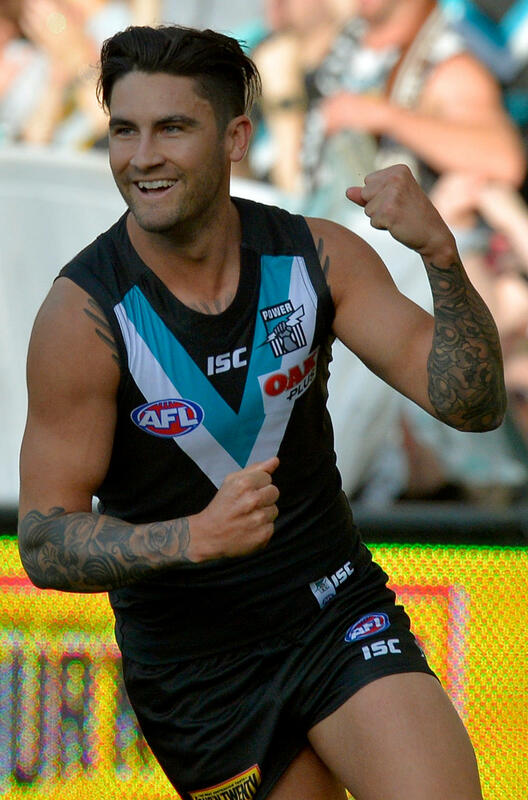 Port Adelaide’s football manager put the issue on the agenda earlier on this week. The players will never agree to removal of this clause. The clubs, via the AFL, had their last opportunity to buy the clause back off the players during the last CBA negotiations – by making some demands as the price for granting the players their demand for a chunk of windfall broadcast revenue – but they squibbed it. However, could it be loosened a touch as a way of tipping the power balance just a smidge back the way of the clubs? Not cart blanche. It wouldn’t be fair to flip first and second year players around the league like poker chips (nor is it fair for first year players to dictate where they want to play their football while they’re on their draft contract – it’s give and take folks). Nor is it probably fair to have the power to shift players earning a relatively modest AFL player salary (which would still be more than 95 per cent of the population) without consent. But there is a cohort of players who are mature enough, professional enough, and are paid enough that being able to move them without the consent part of that clause is feasible. Perhaps it’s a service level thing, or a salary thing, or a combination of the two. Clubs must give players adequate notice – say their status as a tradeable player must be conveyed to them a month out from the trade period – and they should be given time before being required to report to their new destination. There are ways it can be done. The status quo cannot hold much longer. 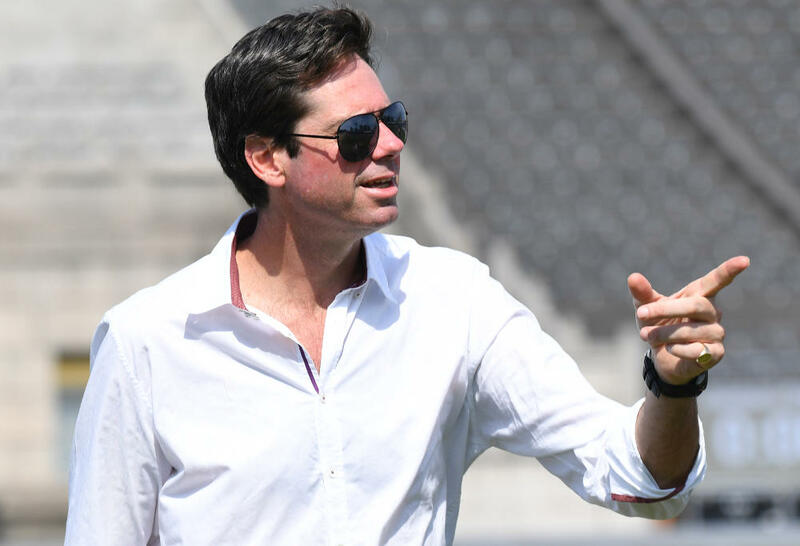 Next year is the first year free agency will be fully mature – every club will have free agent players, and every player will have had the opportunity to build his contractual status around the eight year eligibility threshold. Meanwhile player agents are taking an increasingly prominent role in the affairs of clubs and players, aided by the powers afforded by those seven words. I say more because for a big chunk of the league salaries are already completely transparent. The CBA sets arbitrated salaries for first time draft selection (national draft) players in their first and second years in the league (it also sets minimum salaries for rookies and delisted free agents). If I were that way inclined I could tell you to the dollar what Geelong’s Tim Kelly was paid for his stellar debut season (that pegged him as the 46th best player in the competition on the AFL’s Player Ratings system – ahead of Dylan Shiel for what it’s worth). Instead, I direct you to Schedule C of the CBA. Why can’t I do the same for every other player in the league? And more importantly perhaps, why can’t the competition have more transparency regarding the contractual position of every player? Spare me the privacy concerns: this is contrived form of entertainment not the Australian Tax Office. And if a player isn’t playing to his contract value that’s his and his club’s problem. We know what politicians earn, and that’s one segment of society where pay-for-performance doesn’t seem to matter either. Within league circles, clubs operate with partial information anyway. After negotiating a salary dump trade that was kiboshed at the last minute, Fremantle would know exactly what Chris Mayne is being paid at Collingwood for example. Now he’s moved as a free agent, Gold Coast know the precise terms of Tom Lynch’s seven-year contract with the Tigers. Smart clubs will have their analytics teams scraping information from news articles as a means of building projected salary cap profiles of their competition. More readily available player salary information would help clubs formulate ideas for trades which are mutually beneficial. The clubs will as a matter of course understand the contractual status of players they inquire seriously about, but until that happens there’s no way of knowing with any certainty. Some additional context on player salaries would create more liquidity. And for the fans – the people that make this all happen, a fact which is forgotten far too often – more transparency regarding player salaries would help build their understanding of why things happen. For instance, why Jasper Pittard was seemingly thrown into the Jared Polec trade at the last minute (my theory: a salary dump). Or, why Geelong is playing hardball with the Eagles with regards to Tim Kelly (one of the best 50 players in the competition, earning a salary that would peg him around the 400th best paid player in the competition). Again, this isn’t an all or nothing proposition. Perhaps we don’t need to know everyone’s salary to the dollar like we do first and second year players. We could keep it simple by only reporting retainers. We could guard against privacy concerns by reporting players in $100,000 bands. We could make it a piece of information shared for the top 25 per cent of paid players in the competition, or players of above average salary. More information is always better than less information. 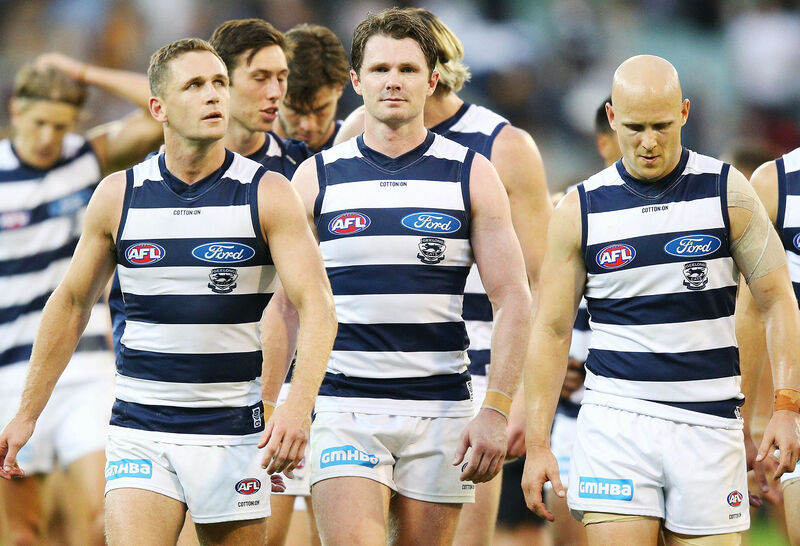 That applies to the functioning of any market – the AFL player exchange market is no exception. Players are acting like free agents regardless of their service limits anyway, so why don’t we skip the charade and grant status earlier into a player’s career? I was dead sure the AFL and the players would agree to lowering the service limits by two years (to six years for restricted free agency, and eight years for unrestricted free agency) as part of the last CBA. Instead they couldn’t even agree on something as minor as whether a player should be a ‘free agent for life’ instead of having to accrue the service limit a second time to become eligible. Squibbed. This is a no-brainer. And it would allow for the removal – or severe curtailing of – free agency compensation picks, which are distorting decision making across the league. 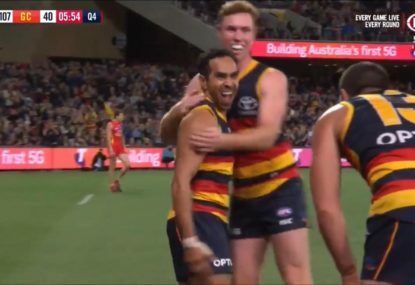 As Adrian Polykandrites noted earlier in the week, there is no way known Gold Coast would’ve let Lynch walk if free agency operated as it should. The solution here is clear: lower free agency limits expand the pool for everyone, and in a salary capped league there is only so much talent that can congeal in one location (Exhibit A: the GWS Giants). That reduces, and may eliminate, the need to create additional draft picks. At the very least it should result in free agency compensation being wound right back to third and fourth round picks – which most of the quantitative folks think is about where you’d get a replacement level player – so it does not act as a market distortion. Alex Fasolo netted Collingwood a third round pick, when he was just as likely to have been delisted as move to another club. From top to bottom it’s broken, and the best way to solve it – while also helping add liquidity to the market – is to make more players eligible for free agency. 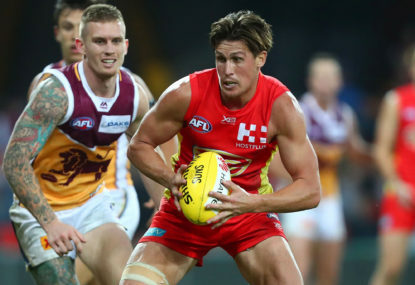 The AFL’s pre-season listing rules are a welcome addition to the player exchange market, albeit a relatively modest one in the scheme of things. 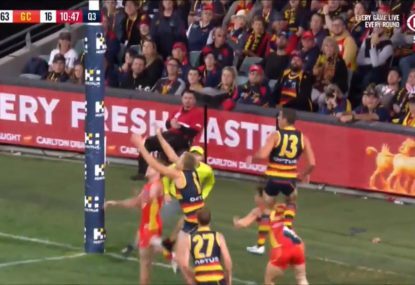 In case you missed it, the AFL Commission signed off on two new listing windows for the 2019 AFL season: a mid season rookie draft (which has been almost universally panned), and a pre-season rookie listing period (which has been overshadowed). Clubs will now be able to list players who have previously nominated for at least one AFL draft, so long as they have a rookie list spot available. They can also create a rookie list spot in the event a player goes down via season-ending injury or an early retirement (to join the NFL punting circuit as has been the trend recently). That window opens on 1 December and closes on 15 March – a week or so out from the season. This will be the first year the rule is in place so let’s not rush to change it. But once the system is bed down, why shouldn’t this be open to exchange between clubs? We seem to have built this idea over time that the trade period should be a short as possible. It’s down to eight working days in 2018, and by the end of it folk will be complaining that it’s still too long. My theory: people thing it’s too long because the mainstream media cover it like it’s a combination of Watergate and the OJ Simpson trial. There is no requirement that clubs co-locate to get deals done. Have you heard of the telephone? I do business with folk all around Australia, and on far more complex matters than whether Lachie Neale is worth pick five or Fremantle’s 2019 first round pick. It doesn’t have to be this way. Trade period shouldn’t be a trade period. It should be general business. But I guess you can’t stick a corporate pre-fix on general business. Those are my proposals. I’ll trade you next year’s second and a fringe 22 player for yours.